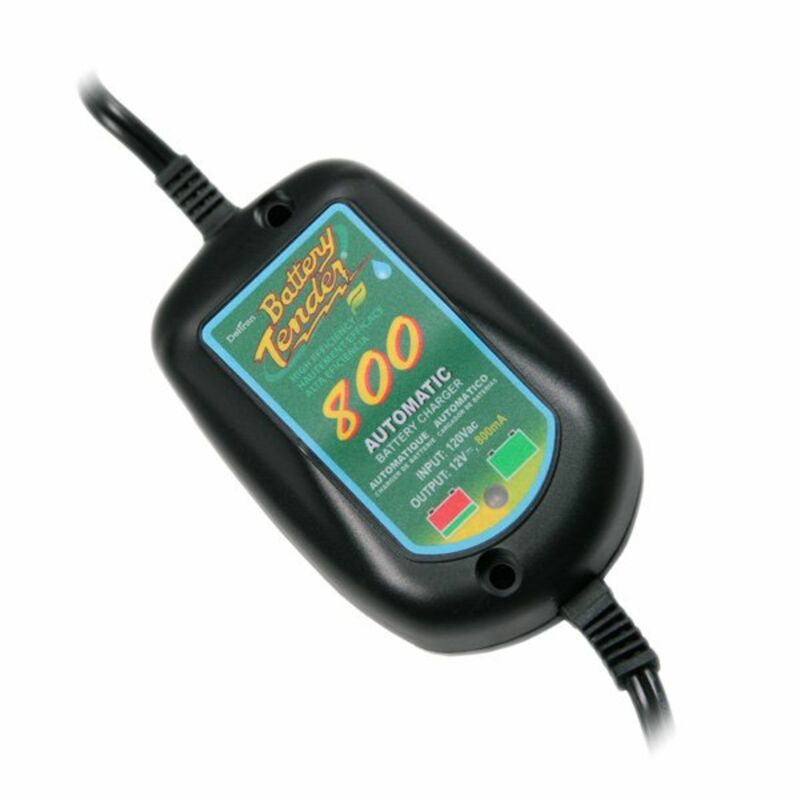 This compact 12 volt 800 mA battery charger has all the charge characteristics of its cousin the Battery Tender Junior. Perfect for all outdoor types of ATVs, watercraft, motorcycles, boats, or anywhere water is a threat. Includes important features such as Spark Proof Hook Up, Reverse Polarity and Short Circuit Protection, 2 color LED Charger Indicator, and topped off with a 3 Year Warranty. Perfect for all AGM (absorbed glass mat)and most gel batteries. Do you own the BTW022-0150? Please, tell us what you think about it. It helps us provide you with better products. Please note that it may take up to 72 hours for your review to appear. Pros: Super quick delivery Easy to use, and seemed to charge my motorbike battery in a few hours, although I did leave it overnight, and even though the bike had been sitting idle for almost five months, started up after just three or four tries. Cons: I wasn't sure about the colour indicator on the charger - maybe it went very quickly from yellow to green, but somehow seemed to slowly graduate from on to the other. Either separate lights for charging and finished, or different colours which cannot be mistaken. Most important thing - it worked as supposed to work, and my bike is up and running again! Pros: Most excellent maintenance mode charger I've used. Small, waterproof, rugged, and - it works as promised. I have two of these that I use to keep lead-acid and Shorai LI batteries on three bikes in good health, including a track bike that only sees action once every 2-3 months. I even converted the toy-sized battery charger on a self-cranking lawn mower so I could use one of these instead and it works like a charm. Cons: Sometimes does not kick into charging mode unless you plug in the charger first, then plug the bike battery into the charger. A minor inconvenience for otherwise excellent performance. Not for quick charge. If you have a happen of letting your batteries drain down below 12 volt, best you get the 2 amp version (which has never impressed me like this unit). Pros: It has mounting holes so I mounted it to the barn siding in my shed to keep it off the ground and at the correct height. Appears to be a well sealed unit and uses all of my old connectors and cables. I have an eight year old battery in my Kubota tractor and it is getting tired but the tender keeps it topped off so it always acts like a fully charged new battery. these are also great in that you don't have to worry about boiling out batteries in storage as I did two years ago when I forgot that i had a lawn mower on charge. In essence, these units will pay for themselves with one battery replacemnt if you make a mistake. In the winter on my smaller equipment that I don't use, I share one tender with three batteries and move it around every few days. Cons: Not cheep.... But worth it. 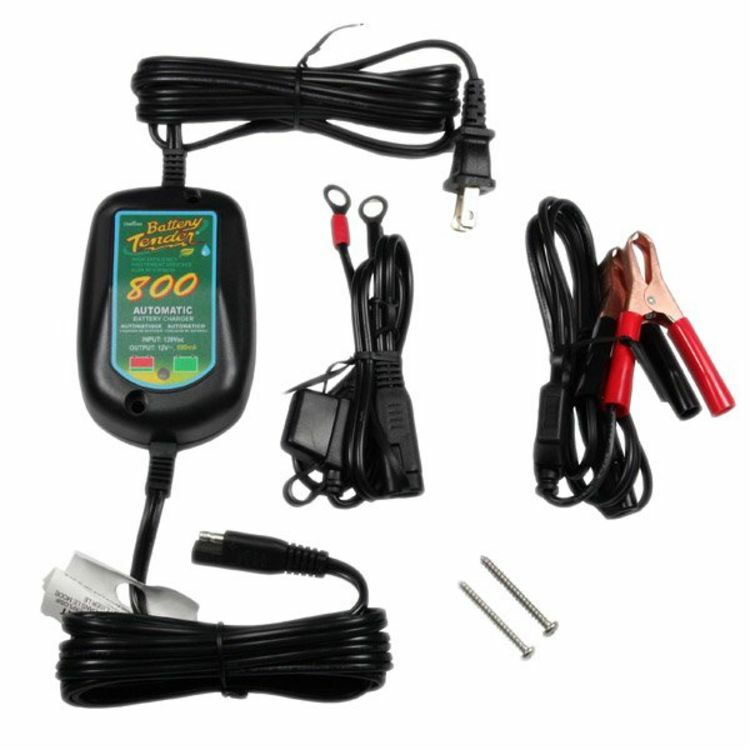 Pros: I store my motorcycle and ATV in a yardbarn without heat and after having the ATV battery freeze last winter I bought this charger for the motorcycle battery. When I plugged it in the battery was nearly dead. The charger had it up to normal in about an hour and now when I work on the bike I plug it in and it takes less than a minute to bring the charge back up. I have the wiring permanently attached to the bike battery now and plug it in when I park it. The battery is 5 years old but holds a charge really well. This is a great product and I wonder why I never had one before. Cons: I can't think of any cons unless it would be that the charger should be chromed so I could mount the unit on the bike.